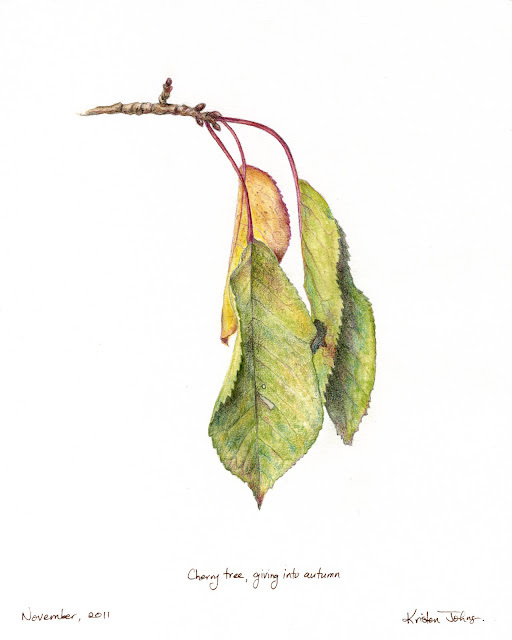 The chestnut tree leaves are falling and falling and falling and falling. The leaves on the cherry tree have such an elegant way of drooping. This lady is aging well.